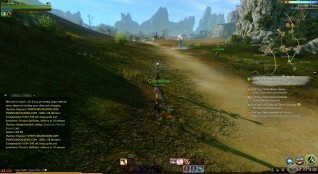 What Would You Change About... ArcheAge? 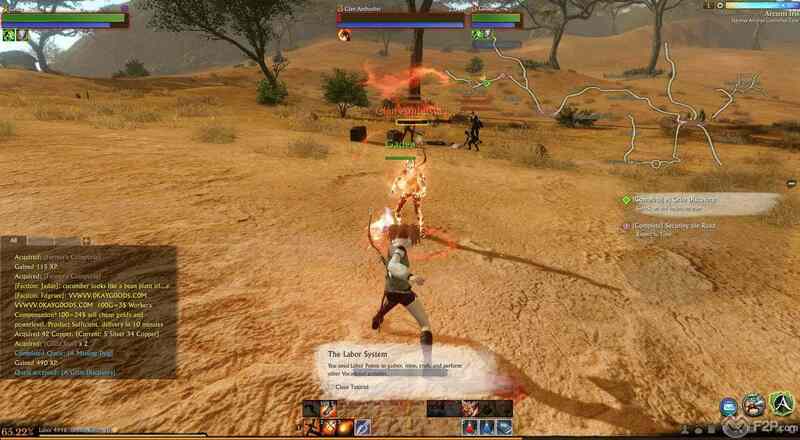 What Would You Change About… ArcheAge? The learning curve is steep. It kind of comes hand in hand with being a sandbox, a lot of new players that start lack any direction and can feel completely overwhelmed when setting foot in the world for the first time as there’s just so many things they can do. Now it’s easy to say that the people with problems with sandbox have been spoon-fed themepark style games all their MMORPG life and that this is what it’s like when a game doesn’t hold your hand and guide you all the time, unfortunately the themepark MMORPGers are the majority these days coming from games like WoW, and so it is a difficult transition at times. There’s very little information in the game on what type of paths players can take, or how they can accomplish minor and major goals for themselves, often forcing players out of the game and onto wiki’s, forums and sites like Reddit to find out what they need to do. The mentor/mentee system is… interesting… as many cases there are where veteran players will help new players through dungeons and the like there’s as many cases where they hold them hostage at the end demanding gold from them to unlock boxes and get access to items. A little more in game official guidance would help players feel like they haven’t bit off more than they can chew when they start out; more comprehensive in game guides or more in-depth tutorial quest chains to get them starting down a path they might enjoy would go a long way. You are 8225 in the queue…. You are 8224 in the queue…. You are 8223 in the queue…. You are 8223 in the queue…. You are 8221 in the queue…. You are 8220 in the queue…. You are 8219 in the queue…. Man, even writing that was boring. Players are still having to wait for hours queuing to get onto their server, some even 6hours +, which is… ludicrous. This is even worse when some people have paid to be a Patron, we’re talking around $150 here to have shorter queue times, which is one of their primary features. I mean… sure it’s shorter, but it’s still hours that people are waiting and paying for the privilege of. Needless to say this is kind of a big deal that needs to be dealt with. There are way too many items available in the cash store. It does appear to have been a slow but steady trickle of the amount of non-cosmetic items that have slowly made their way into the games cash store, allowing players to purchase all sorts of advantages in an already hugely imbalanced game. 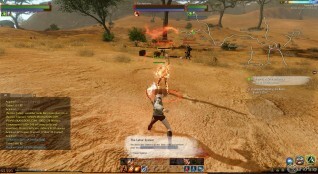 Even the likes of purchasable crafting items creates bigger issues with the player economy, which really isn’t the kind of thing that you want for a championed “sandbox MMORPG”, this definitely seems to go against the roots of what the game was about and looks like a publisher cash grab. F2P is already unsteady ground, but having anything in the shop that can give players an edge or, even worse, be better than the items you get access to through playing/crafting (Hasla weapons anyone? ), or the amount of Labor Points you earn through playing (or even extra from Patron) versus the Labor points players get from paid potions is simply asking for trouble. We say cut back the boosts and useful items and stick to cosmetics or entertaining items that don’t hurt the economy and gameplay balance too much. It’s just not that fun or easy to find. The majority of PVP now seems to be contained to Arena battles, a far cry from the constant world PVP you would find in the game earlier on in the games life, and the push into Arena fights combined with arena buffs and imbalanced Paid for (real cash) weapons and gear just makes it too hard to avoid constant Pay-to-Win players. Combined with Sieges, which has its own share of issues, but one of the most fun PvP features that was a flagship idea for the game is only accessible every 3 weeks… kinda lame. A push to making world PvP more fun and engaging would bring the game back to being more of a sandbox like it was always supposed to be and make avoiding the players who pay-to-win a little easier. The game suffers from all manner of game/economy breaking hacks. HackShield doesn’t work. Anyone who has played the game for a while will be well aware of the vulnerability of the code in the game that has left itself so open to hackers. With anything from speed hacking where players can rush around quicker than everyone else it gives a major disadvantage, however worse still is the Teleport hacking. Essentially hackers can teleport… anywhere. They have programs running that if one of the limited plots of land in the game becomes unavailable they can instantly teleport and claim it for themselves; that’s bad. One of the key features in the game is transporting Trade Packs, a travel mission where you typically need to journey to the other continent to drop off an item via foot, mount and ship and are open to be attacked by bandits and pirates. It is undeniably a really cool feature in the game… not so cool when hackers can just teleport to the other continent and cripple the economy; that’s really bad. XL Games (the developer) need to pull their finger out instead of relying on their broken HackShield and Trion’s heavy handed (and often misplaced) mass banning. 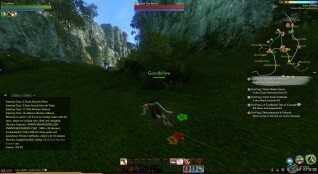 These are some of the things that we would change about ArcheAge, but what do you think? What would you change about this game? Would you add anything else to the list? We await your opinions! Let us know!!!! !